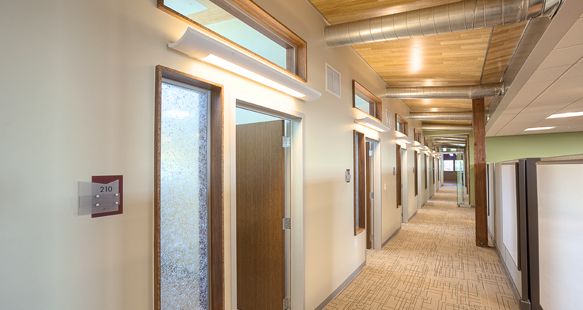 This building has been four years in the making and is quite the contrast to the former, 50-year-old facility. 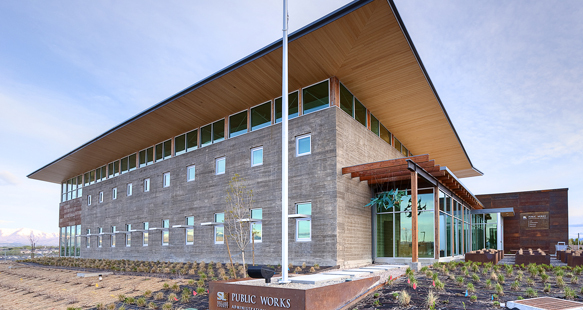 Salt Lake County Public Works is earthquake safe and built to LEED platinum certification. 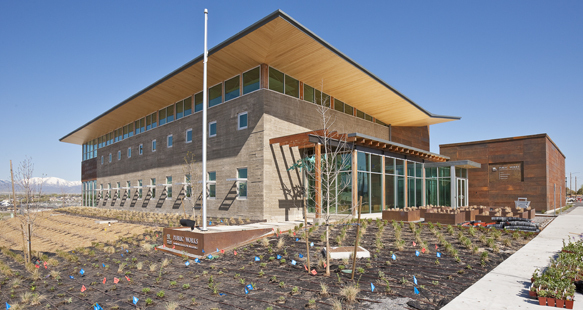 Located in the new facility are 75 employees and four departments: sanitation, public works, flood control and fleet management. 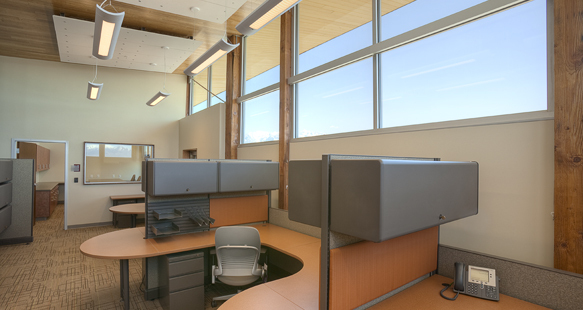 The building is also equipped with an emergency operations center. 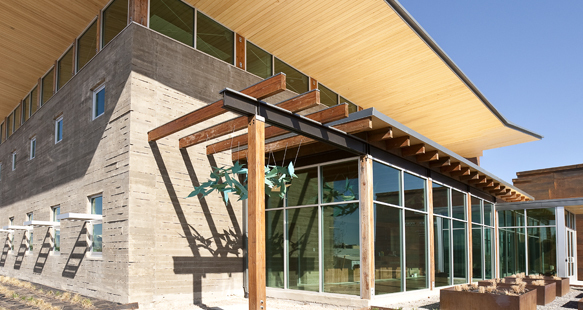 Some of the energy efficient components include concrete walls, recycled concrete countertops, reclaimed trestle wood from the Great Salt Lake, bamboo floors and ceilings, energy efficient solar panels and native landscaping.